SB 61: Portantino: Firearms: transfers. SB 172: Portantino. Firearms: storage. SB 220: Hill: Firearms dealers: storage and security. AB 222: Voepel: Law enforcement: cooperation with immigration authorities. This bill would have allowed for information regarding the release or transfer of an individual to be provided to immigration authorities if the individual has been convicted of misdemeanor or felony assault or battery against the person of a peace officer or firefighter, as specified. AB 284: Frazier: Junior hunting licenses: eligibility: age requirement. This bill would extend, this expanded eligibility, for a junior hunting license indefinitely from under 16 to those under 18 years of age. 03/26/19: Passed Water Parks and Wildlife 14 to 0 vote! AB 503: Flora: Gun-free school zone. Existing law makes it a crime to possess a firearm in a place that the person knows, or reasonably should know, is a school zone. AB 1096: Melendez: Firearms: concealed carry licenses. This bill would instead require the sheriff of a county, or the chief or other head of a municipal police department, to issue a license to carry a concealed handgun or to carry a loaded and exposed handgun, as specified, if good cause exists for the issuance and the applicant is of good moral character and satisfies certain other criteria. AB 1387: Wood: Sport fishing licenses: 12 consecutive month licenses. This bill, instead of calendar year licenses, would require issuance of sport fishing licenses that expire 12 consecutive months after the date specified on the license. AB 1559: Melendez: Firearms: emergency concealed carry permits. This bill would authorize a person who, because of prior victimization or based on specific articulable facts, reasonably believes that they are in immediate and grave danger of domestic violence, sexual assault, or stalking, as specified, to apply to the sheriff in the county in which they reside for a temporary emergency license to carry a concealed firearm. SB 395: Archuleta: Accidental taking and possession of wildlife: collision with a vehicle. This bill would require the Department of Fish and Wildlife to adopt rules and regulations for the issuance of wildlife salvage permits through a user-friendly web portal to persons desiring to recover, possess, use, or transport, for purposes of salvaging wild game meat for human consumption of, any deer, elk, antelope, or wild pig that has been accidentally killed as a result of a vehicle collision on a roadway within California. 04/09/19: Sen Natural Resource & Water; pass 9 to 0; referred appro. AB 12: Irwin: Firearms: gun violence restraining orders. This bill would increase the duration of the gun violence restraining order and the renewal of the gun violence restraining order to 5 years (a 400% increase), subject to earlier termination or renewal by the court. AB 18: Levine: Firearms: excise tax. This bill would imposes an excise tax $25 each firearm on the sales of handguns and semiautomatic rifles and would require the revenue collected from that tax to be used to fund grants through the California Violence Intervention and Prevention Grant Program within the Board of State and Community Corrections to distribute grants to cities and community-based organizations to fund violence intervention and prevention activities. 04/09/19: Asm Public Safety; pass 5 to 3, Asm Quirk votes NO! This bill would similarly authorize, an employer, a coworker, or an employee of a secondary or postsecondary school that the person has attended in the last 6 months to file a petition for an ex parte, one-year, or renewed gun violence restraining order. AB 273: Gonzalez: Fur-bearing and nongame mammals: recreational and commercial fur trapping: prohibition. This bill would prohibit the trapping of any fur-bearing mammal or nongame mammal for purposes of recreation or commerce in fur and would prohibit the sale of the raw fur of any fur-bearing mammal or nongame mammal otherwise lawfully taken pursuant to the Fish and Game Code or regulations adopted pursuant to that code. 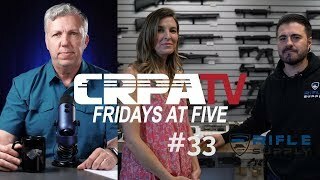 AB 276: Friedman: Firearms: storage. The bill would define a firearm as being securely stored if it is secured with an operable device that is listed on the Department of Justice’s roster of approved firearm safety devices, as specified. The bill would exempt a person from this section if the firearm is loaned under specified conditions and would exempt an unloaded antique firearm from these provisions. The bill would additionally prohibit a person convicted under these provisions, or under other specified provisions regulating the storage of firearms, from subsequently owning, purchasing, receiving, or having in their possession or control, any firearm. AB 392: Weber. Peace officers: deadly force. The bill would also affirmatively prescribe the circumstances under which a peace officer is authorized to use deadly force to effect an arrest, to prevent escape or to overcome resistance. This bill will leave officers and LE agencies wide open to ‘after the fact’ law suits and endless scrutiny for decisions that often have to be made in seconds. Will greatly restrict an officer’s ability to defend their own lives and the lives of others. AB 645: Irwin: Firearms: warning statements. This bill would require, as of June 1, 2020, for both of these warnings to contain a specified statement regarding suicide prevention. This bill would require, as of June 1, 2020, for the written test and the acknowledged warning to also cover the topic of suicide prevention. 03/26/19: Pass Asm Public Safety 8 to 0 vote / referred Asm Appro. AB 688: Chu: Firearms: vehicle storage. Long guns. This bill would require all firearms to be secured when not attended in a lock box or by cable that is secured to the vehicle’s frame using a steel cable lock or chain and padlock or in a locked container that is secured using a steel cable lock or chain and padlock or that is permanently affixed to the vehicle. AB 879: Gipson: Firearms (precursor parts). This bill would, commencing July 1, 2024, require the sale of firearm precursor parts, as defined, to be conducted by or processed through a licensed firearm precursor part vendor. Commencing January 1, 2024, the bill would require a person or business to have a valid firearm precursor part vendor license to sell more than one firearm precursor part in any 30-day period. This bill would make a violation of this prohibition would be a misdemeanor. The bill would require that a licensed firearm dealer or licensed ammunition vendor automatically be deemed a licensed firearm precursor part vendor. The bill would create an application process for firearm precursor part vendors, as specified. The bill would establish the Firearm Precursor Parts Special Account, into which vendor license fees would be deposited. The bill would continuously appropriate money in the fund to the department for purposes of implementing, administering, and enforcing the firearm precursor part authorization program, thereby making an appropriation. The bill would require the firearm precursor part vendor to conduct business at the location specified in the license, except in the case of gun shows or events, as specified. 03/22/19: Opposition letter Submitted Author & Asm Public Safety. AB 893: Gloria: 22nd District Agricultural Association: firearm and ammunition sales at the Del Mar Fairgrounds. This bill would, on and after January 1, 2021, prohibit the sale of firearms and ammunition at the Del Mar Fairgrounds property located in the 22nd District Agricultural Association, as specified, and would thereby make a violation of that prohibition a misdemeanor. AB 1064: Muratsuchi: Firearms dealers: conduct of business. This bill would authorize the Department of Justice to impose a civil fine not exceeding $1000 for a breach of those prohibitions, and a civil fine not exceeding $3,000 for a breach of those prohibitions when the licensee has received written notification from the department regarding the breach and fails to take corrective action, as specified, or the department determines the licensee committed the breach knowingly or with gross negligence. This bill would, in addition, commencing January 1, 2021, prohibit a firearms dealer license from designating a building that is a residence, as defined, as a building where the licensee’s business may be conducted. The bill would also provide that these provisions would not preclude or preempt a local ordinance that places additional or more stringent requirements on firearms dealers regarding where the business of the licensee may be conducted. The bill would require a licensee to ensure that its business premises are monitored by a video surveillance system that, among other requirements, visually records and archives footage of (1) every sale or transfer of a firearm or ammunition, in a manner that includes audio recording (2) all places where firearms or ammunition are stored, displayed, carried, handled, sold, or transferred; (3) the immediate exterior surroundings of the licensee’s business premises; and (4) all parking areas owned or leased by the licensee. The bill would, commencing January 1, 2021, require a licensee to obtain a policy of commercial insurance that insures the licensee against liability for damage to property and for injury to or death of any person as a result of the theft, sale, lease or transfer or offering for sale, lease or transfer of a firearm or ammunition, or any other operations of the business and business premises, in the amount of $1,000,000 per incident, as specified. AB 1297: McCarty: Firearms: concealed carry license. This bill would require, rather than authorize, the local licensing authority to charge the fee and would require the fee to be in an amount equal to the reasonable costs for processing the application, issuing the license, and enforcing the license, as specified. The bill would delete the prohibition on charging more than $100 for the fee. AB 1602: Low: Use of firearm insurance. This bill would, on and after January 1, 2020, prohibit an insurer from issuing or renewing a policy of insurance for a loss related to the use of a firearm, except for a policy that insures against liability for loss of or damage to property related to the use of a firearm or a commercial policy that insures a licensed firearms dealer against liability for, among other things, injury to or death of a person as a result of the theft, sale, lease, or transfer of a firearm or ammunition. This bill would impose a 10-year prohibition of firearm possession for anyone convicted of two drug or alcohol crimes in a three-year period. The bill would also make it an infraction for a person prohibited from owning or possessing a firearm pursuant to these provisions to own, possess, or have under their custody or control, any ammunition or reloaded ammunition. This bill would make the 30-day prohibition and the dealer delivery prohibition for handguns applicable to all types of firearms. The bill would also exempt from that prohibition the purchase of a firearm, other than a handgun, by a person who possesses a valid, unexpired hunting license issued by the state, and the acquisition of a firearm, other than a handgun, at specified charity fundraising events. 04/02/19: Senate Public Safety / pass 5/2 referred Senate Appro. Existing law imposes an additional 3-year sentence for each prior separate prison term served by a defendant where the prior and current offense was a violent felony, as defined. For other Felonies, existing law imposes an additional one-year term for each prior separate prison term or county jail felony term, except under specified circumstances. This bill would delete the provision that requires an additional one-year term. Existing law generally regulates the possession of firearms, including storage requirements to prevent children from gaining access to firearms. Existing law, subject to exceptions, generally requires the loan of a firearm to be conducted by a firearms dealer. This bill adds additional restrictions on loaning of firearms, increases penalties on ‘improper’ firearm storage, includes unloaded and all firearms in those provisions. This bill would instead, commencing July 1, 2020, require each of the firearms to be secured by storing the firearm in a secure facility, as described above. The bill would require the firearms to additionally be secured using one of several methods, including the method involving a steel rod or cable or the method involving a safe or vault. The bill would require, if the rod or cable method is used and if the licensed location is at street level, that the licensee install, or cause to be installed, concrete or hardened steel bollards meeting certain specifications, or other specified barriers, to protect the location’s front entrance, any floor-to-ceiling windows, and any other doors, from breach by a vehicle. If a safe or vault method is used, the bill would require the safe to meet specified safety standards established by the Attorney General relating to risk reduction of firearm-related injuries to children 17 years of age and younger. The bill would also authorize the dealer to secure the firearms by storing them in a shatter-proof or other specified display case, or in a windowless room without a door accessing the outside of the building, or by use of a steel roll-down door or security gate, or in a locked steel gun rack. The bill would also require the dealer to install steel roll-down doors on perimeter doors and floor-to-ceiling windows if the other securing methods described above are not used. SB 281: Wiener: Cow Palace Joint Powers Authority. This bill would prohibit the sale of firearms and ammunition on any property owned, occupied, operated, or controlled by the 1-A District Agricultural Association, or by another state agency, for district or association purposes, and, on and after January 1, 2020, on the real property known as the Cow Palace, as specified. The bill would exclude from its provisions a gun buy-back event held by a law enforcement agency. A violation of this prohibition could be a felony, misdemeanor, or infraction pursuant to the provisions described above. AB 44: Friedman: Fur products: prohibition. This bill would make it unlawful to sell, offer for sale, display for sale, trade, give, donate, or otherwise distribute a fur product, as defined, in the state. The bill would also make it unlawful to manufacture a fur product in the state. The bill would exempt from these prohibitions certain fur products, including, among others, a fur product made from a fur-bearing mammal or nongame mammal taken pursuant to a state trapping license. The bill would require a person that sells or trades any fur product exempt from this prohibition to maintain records of each sale or trade of an exempt fur product for at least one year. AB 164: Cervantes. Firearms: prohibited persons. This bill would expand the scope of this crime to a person who is prohibited from purchasing or possessing a firearm in any jurisdiction by a valid temporary restraining order, injunction, or protective order issued in another jurisdiction. AB 165: Gabriel: Peace officer training: gun violence restraining orders. This bill would require the commission to develop and implement, on or before January 1, 2021, a course of training regarding gun violence restraining orders. The bill would require the course to be incorporated into the course or courses of basic training for law enforcement officers and dispatchers, on or before January 1, 2021, and would require the course or courses to include specified topics, including the process of filing a petition for gun violence restraining orders and situational training to assist officers in identifying when a gun violence restraining order is appropriate. The bill would require law enforcement officers, administrators, executives, and dispatchers who have completed basic training prior to January 1, 2021, to participate in supplementary training that includes these topics on or before December 31, 2023. AB 339: Irwin: Gun violence restraining orders: law enforcement procedures. This bill would require each law enforcement agency to develop and adopt written policies and standards regarding the use of gun violence restraining orders. AB 340: Irwin: Firearms: armed prohibited persons. This bill would authorize a county to establish and implement a Disarming Prohibited Persons Taskforce (DPPT) team program, consisting of officers and agents from specified law enforcement agencies, for the purpose of, among other things, identifying, monitoring, arresting, and assisting in the prosecution of individuals who are armed and prohibited from possessing a firearm. The bill would additionally require the Department of Justice, upon appropriation by the Legislature, to award grants to DPPT teams that apply for the purpose of investigating, locating, apprehending, and prosecuting individuals who are in possession of a firearm, despite their prohibited status, in the DPPT team’s jurisdiction. This bill would make a technical, nonsubstantive change to those provisions / chamber load indicator. AB 997: Low: Firearms: persons detained or apprehended for examination of mental condition. This bill would make a technical, nonsubstantive change to these provisions. AB 1669: Bonta: Firearms: gun shows and events. This bill would amend those provisions of law prescribing the rules and regulations for gun shows and events to be consistent with the sale of ammunition at gun shows and events as authorized by the Safety For All Act of 2016. SB 221: Hill: Firearms: law enforcement agencies: agency firearm accounting. This bill would require a law enforcement agency, to adopt a written procedure to account for firearms that are owned, acquired, maintained, sold, loaned, lost, stolen from, or in any way possessed by that agency, as specified. The bill would require agency employees to report to the agency lost or stolen firearms owned by the agency or used or carried by an employee within the course of employment that are not owned by the agency, within 5 days of the date they know or reasonably should have known that the firearms were lost or stolen. SB 230: Caballero: Law enforcement: use of deadly force: training: policies. This bill would require each law enforcement agency to maintain a policy that provides guidelines on the use of force, utilizing de-escalation techniques and other alternatives to force when feasible, specific guidelines for the application of deadly force, and factors for evaluating and reviewing all use of force incidents, among other things. The bill would require each agency to make their use of force policy accessible to the public. SB 257: Nielsen: Firearms: prohibited persons. This bill would require the Department of Justice, if the department determines that a person prohibited from owning, purchasing, receiving, or possessing a firearm by the provisions described above has attempted to acquire a firearm, to notify the local law enforcement agency with primary jurisdiction over the area in which the person was last known to reside. SB 620, Portantino. Criminal offender record information: referral of persons on supervised release. This bill would authorize specified local law enforcement agencies to furnish limited information about persons on supervised release within their jurisdiction to specified nonprofit providers of services. The bill would require a person on supervised release to be notified that their information may be released for this purpose and would allow those persons to opt out of having their information released.